6 Reasons Why We Are Excited For Yeh Rishtey Hain Pyaar Ke Tonight! The spin off show of Yeh Rishta Kya Kehlata Hai, titled as Yeh Rishtey Hain Pyaar Ke is going to premiere tonight at 10 pm on Star Plus. The show is a special one, not only for being the spin off of India’s longest running daily soap but also for a multiple other reasons. 1. It is Rajan Shahi’s another royal offering straight from the land of Rajasthan. Seeing the success of Yeh Rishta Kya Kehlata Hai and the quality of content that the show comes out with, we can surely expect Yeh Rishtey Hain Pyaar Ke to provide content at par with its predecessor. In short, expectations are quite high. 2. 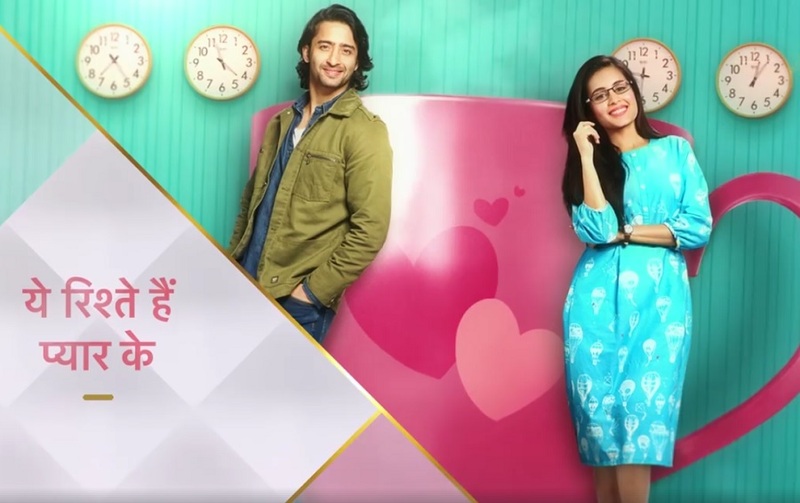 It is going to be Shaheer Sheikh’s comeback show on Star Plus. Owing to the fact that his first super successful daily soap, Navya, was on Star Plus, this return of him in the Star Parivaar is like homecoming for the actor. But this time in a much larger and bigger scale and as a star too. 3. For Rhea Sharma too this is going to be her second return to Star Plus since her last show Tu Sooraj Main Saanjh PIyaji went off air on Star. Her look as the nerd, confused yet a brave and friendly Mishti is engrossing. The current characters of her character make Mishti as someone to watch out for.